Designed to help your hands stay warm while providing you with a small financial saving, the HotRox Double-Sided Hand Warmer and Raynaud's Disease Silver Gloves Bundle is ideal for sufferers of Raynaud's disease. It combines the HotRox Double-Sided Electronic Hand Warmer with Power Bank Function with a pair of Raynaud's Disease Silver Gloves for targeted heat and reflective natural body warmth respectively. 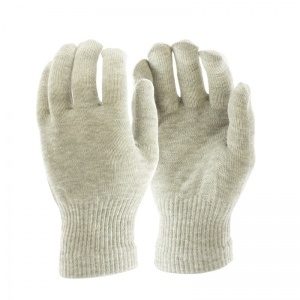 As the gloves are fingerless, they're perfect for wearing indoors and while performing tasks such as typing. What's Included in the Money-Saving Bundle? The Raynaud's Disease Silver Gloves contain natural pure silver, which minimises any radiative body heat loss by actively reflecting 95% of the body’s energy back to the skin. 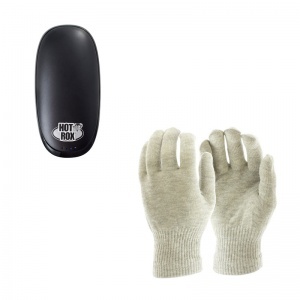 As silver has one of the lowest radiant heat loss rates, the silver contained within the Raynaud's Disease Silver Gloves will help keep your hands much warmer when compared to conventional products. 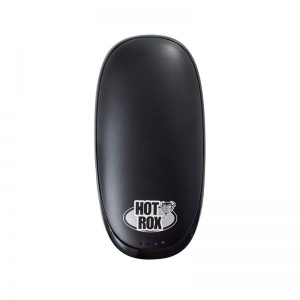 This design is ideal for people who require extra dexterity while working or during activities such as arts and crafts, where extra finger control is required. Please note that the measurements of these gloves can vary slightly. I can only review the service I received as I bought these for my husband and the weather has not been cold since I bought them. However I was very impressed with the website and delivery; also the customer service as I ordered the wrong size in error and they exchanged them immediately with no problem at all. I will buy from this supplier again. Exactly what I ordered. First rate service.